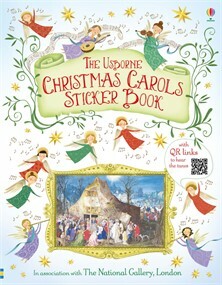 This beautiful sticker book contains the words and music of some of the best-loved Christmas carols, and stickers of paintings on the Christmas theme to add to each page. There’s information about the origins and meanings of the carols and paintings, and QR codes to listen to the tunes online. Published in association with The National Gallery. Parents and children will delight in discovering together information about some of our best-loved Christmas carols in this gorgeously illustrated sticker book.